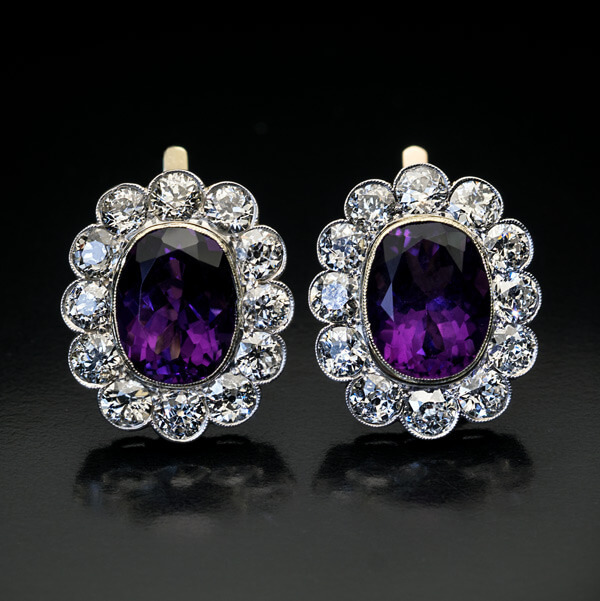 Made in Moscow between 1908 and 1917 by the 6th Artel (Co-op) of Jewelers. 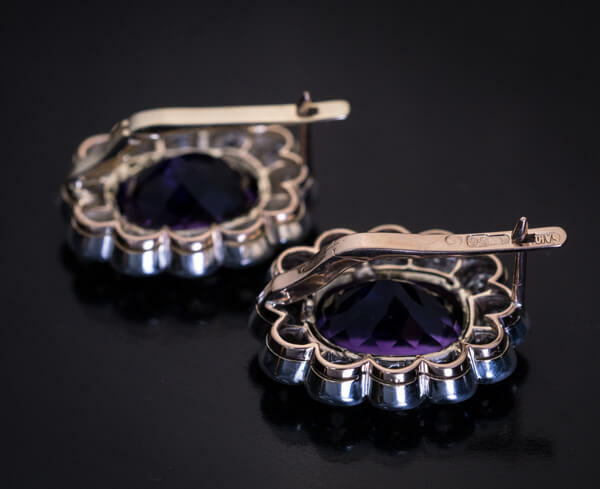 This pair of magnificent antique Russian cluster earrings is crafted in silver-topped 14K gold (front – silver, back – gold). 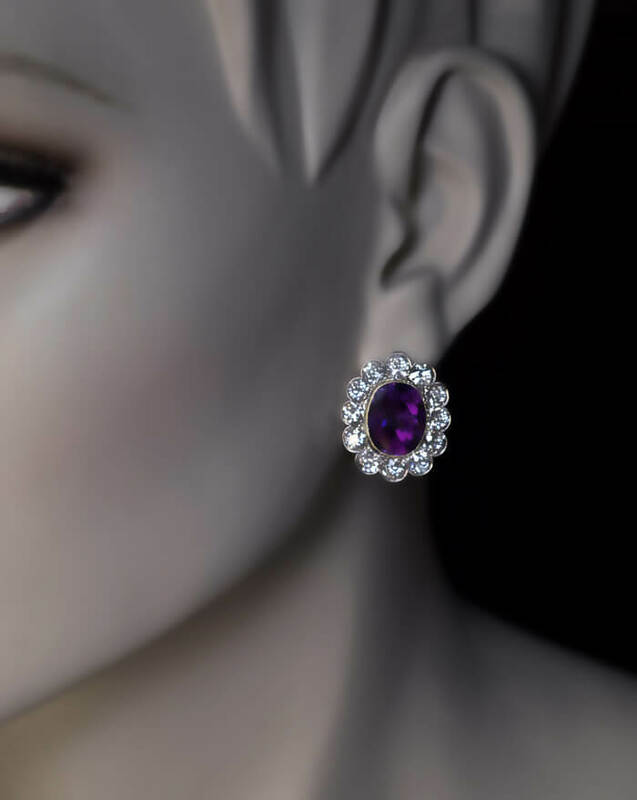 The earrings are bezel-set with two oval amethysts (approximately 4.46 ct and 4.78 ct) surrounded by twenty four sparkling old European cut diamonds (G-H color, SI clarity). 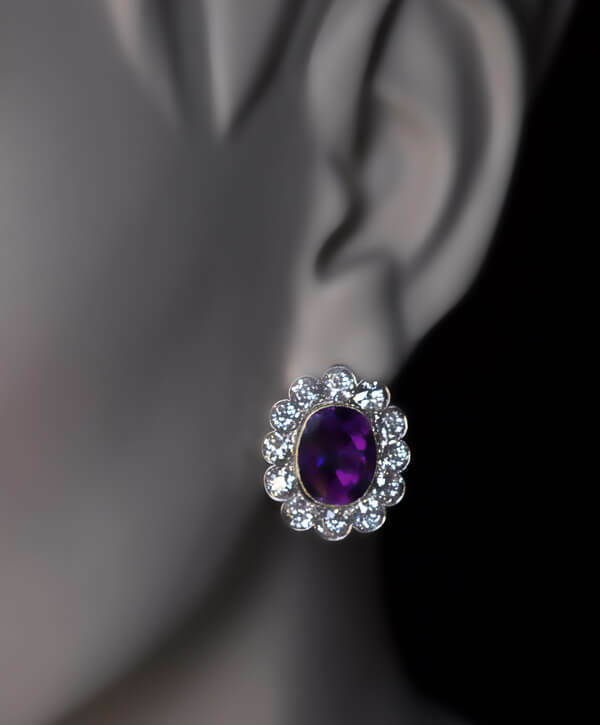 Estimated total amethyst weight is 9.24 ct. 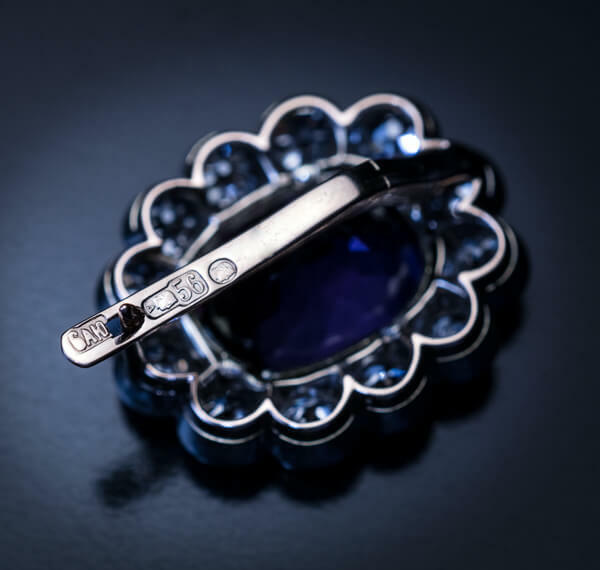 Approximate total diamond weight is 6.24 ct. Marked with 56 zolotnik old Russian gold standard, Moscow assay symbol, and maker’s mark ‘6АЮ’.